« Northants Police seeking volunteers for “Parish Special Constable”. Learn more about your village! 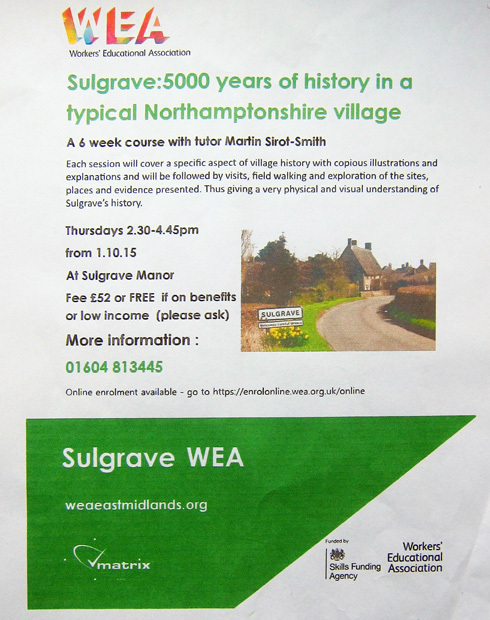 Autumn history course at Sulgrave Manor. This entry was posted on Thursday, August 20th, 2015 at 7:50 pm	and is filed under News. You can follow any responses to this entry through the RSS 2.0 feed. You can leave a response, or trackback from your own site.